If you're seeing this article, it means you still have an old, unsupported version our iPhone app. To continue to receive the latest breaking news, live video and severe weather coverage, please upgrade to the latest version of the app (requires iOS7 or higher). To upgrade, simply click here on your iPhone to open the app in the App Store, then click upgrade. Or, go to the App Store and search for "NBC Chicago." A brand new design to make it easier to find the breaking news and weather coverage you care about. Enhanced weather coverage, with a powerful interactive radar in your pocket wherever you go. A new way to watch video. 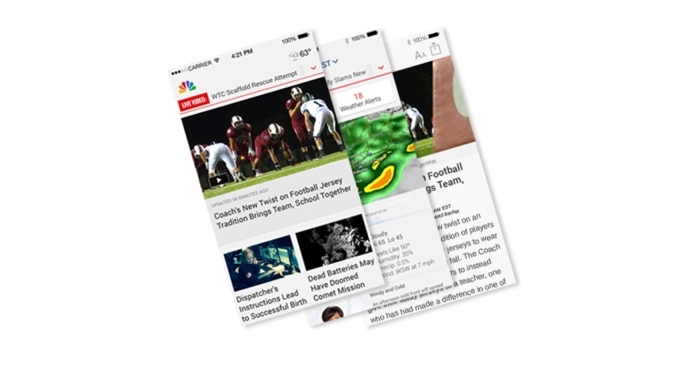 Play video and scroll through articles at the same time, or rotate the phone to watch the full-screen video. Stream video from your phone to Apple TV or other smart device. Swipe right on the home screen to see the top trending stories right now.